The Henrietta Marie’s owners and investors planned to transport over two hundred Africans to the Americas every time the ship made the Middle Passage voyage. The size of the cauldron reflects the number of captives the owners expected to feed. 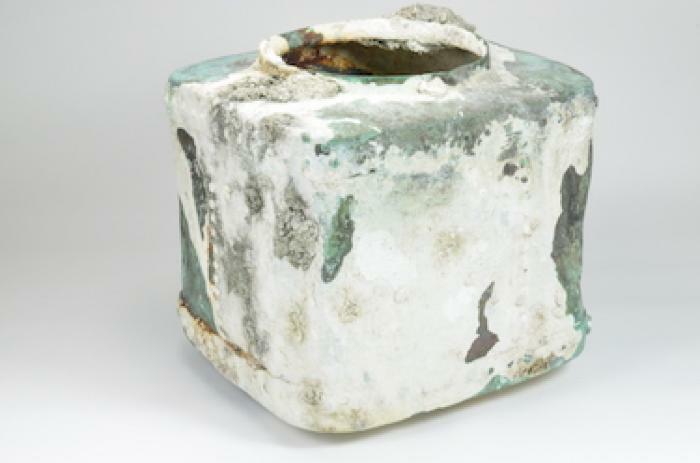 With a capacity of almost a hundred gallons, the pot’s single chamber also indicates the monotony of the captives’ diet. The Africans were usually fed twice a day but they did not receive the same food as the sailors. The first consideration was economy—the captives were to be fed as cheaply as possible in order to maximize profits from the voyage. Secondly, the traders quickly discovered that a European diet of such things as salt meat and ship’s biscuit upset the Africans’ digestion, making them more prone to the acute seasickness and diarrhea that often resulted in death.